In 2012, a new person became a victim of identity theft every three seconds. Mobile identity theft is one of the fastest growing types of identity theft due to the prevalence of mobile devices such as smartphones and tablets. With over one billion smartphones being used globally and research predicting this number will double by 2015, the soaring sales of mobile devices come at a time when identity theft is at an all-time high. There was one victim of identity theft every three seconds in the U.S. in 2012, totaling 12.6 million consumers—an increase of over one million victims compared to the previous year and accounting for more than $21 billion, according to Javelin Strategy & Research’s 2013 Identity Fraud Report. These numbers are expected to rise, especially as our use of mobile devices continues to increase. Whether it’s for email, instant messaging, surfing the web, shopping online, paying bills, or even banking, we store and share an immense amount of personal data on our mobile devices. Unless steps are taken to protect it, this data is vulnerable to identity thieves who want to use it to create fake identities and steal money. Other than being convenient to use everywhere we go, it’s important to remember that smartphones are no different than desktops or laptop computers when it comes to hackers, viruses, malware, and spyware. Their apps and mobile browsers enable us to store personal information such as passwords, credit card numbers, and bank account data in addition to our contacts and other sensitive information. When this data is breached, however, the resulting identity theft can have severe and long-lasting consequences. Make sure you are shopping on secure websites by verifying that the “s” is in the “https://” in the address bar. Websites using “http://” at the beginning of the website address are unsecure. 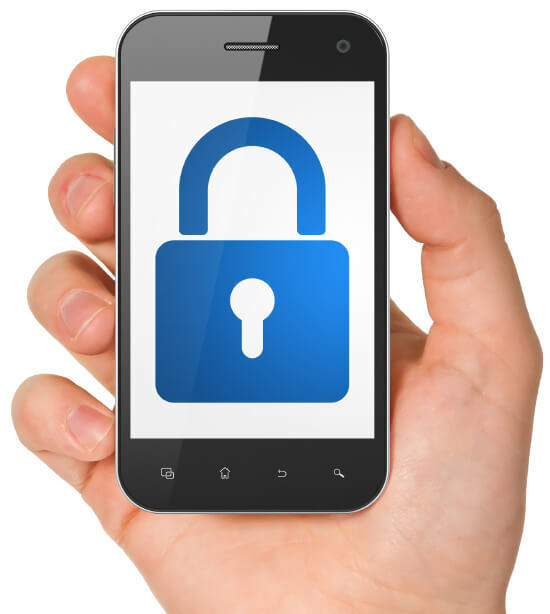 Create a strong password that is required to unlock your phone and access data. Make sure to set up the phone to automatically lock when it has not been used for a specified period of time. Never share sensitive data such as passwords or credit card numbers over an unsecured Wi-Fi connection. Even something as simple as purchasing movie tickets on an iPhone using a public Wi-Fi network can give a nearby hacker the opportunity to steal your data and use it to create a fake identity. Carefully review your phone bills for sudden increases in data usage. You also want to be on the lookout for charges from third-party content providers for services and apps you haven’t authorized. These can be signs that your phone has been hacked and puts you at risk for mobile identity theft. Keep your operating system and apps up-to-date. These updates are important for keeping your smartphone or tablet current with all of the latest security enhancements. When trusted professionals or businesses use mobile devices to share information with clients, the same types of mobile identity theft are possible. Take, for example, healthcare professionals. Over 80 percent of physicians polled in an ABA Health survey revealed that they have used personal mobile devices to access the protected health information of their patients. This puts their patients at risk for mobile medical identity theft even when patients haven’t done anything to put their own identity in jeopardy. Healthcare professionals can help secure medical records on mobile devices by creating passwords to authenticate access to patient information, and never sharing data over an unsecured Wi-Fi connection. In spite of all the safeguards you put in place, hackers will always try to stay one step ahead of you and the available technology. Unfortunately, it’s not a matter of “if” but “when” your identity will be compromised. When it happens to you, don’t be caught without a mobile identity theft prevention plan. There are a number of free mobile identity theft services, such as AVG, that offer anti-virus plans for mobile devices. Phones can be locked and located remotely, suspicious calls or text messages can be blocked, and widgets can detect questionable website activity. The best identity theft protection service on the market is ID Theft Solutions. Managed by law enforcement professionals, ID Theft Solutions is the most comprehensive way to ensure your identity is recovered when it is stolen. Learn more about preventing mobile identity theft by visiting The Identity Advocate. The Identity Advocate is committed to providing unparalleled education, consulting, resources, and investigations to help prevent identity theft, medical ID theft, and healthcare fraud. The Identity Advocate approaches these challenges with a unique perspective. Lead consultant Linda Vincent, R.N., P.I., an identity theft, medical ID theft, and healthcare fraud prevention expert, has over 35 years of experience. As a registered nurse, private investigator, and healthcare consultant, Ms. Vincent is passionate about helping individuals and businesses prevent theft and fraud. Her experience includes hospital and physician audits, managed care consulting, and healthcare fraud education, training, investigations, negotiations, and case review. Call The Identity Advocate at 310.831.4400 or email [email protected] for more information.